Starting a new website? Or Looking to modify your website’s appearance? A WordPress theme plays a vital role in both questions. Rightly chosen WordPress theme can improve UX on your WordPress Website. Basically, a WordPress Theme improves the way website is displayed by adding attractive website layout followed by features, without modifying the underlying software. There is a sufficient amount of WordPress themes available in the WordPress directory. Hence, understanding and picking the right theme for your website can be a tricky task. 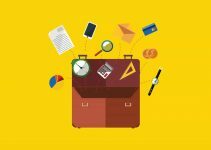 Listed below are the frequently used and most considered paid/free WordPress Themes used by the top WordPress Programmers. 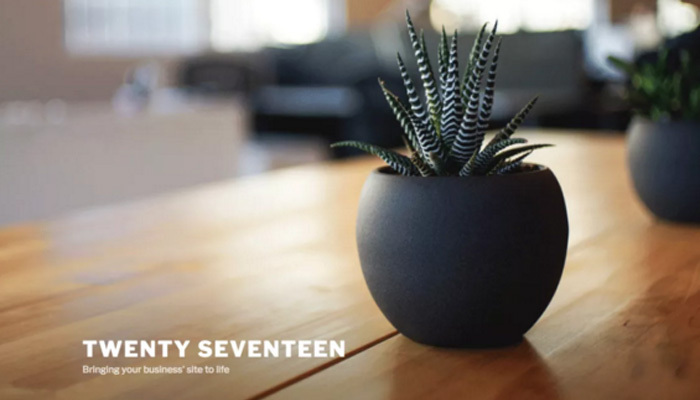 Twenty Seventeen is a FREE theme by WordPress.org. If you are an entrepreneur and want to develop a website, this can be your ideal match. 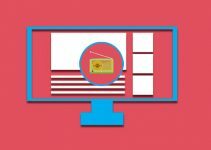 Display your multimedia content with post formats. Having 6000+ downloads per day, this is one of the most considerable themes among WordPress developers. Stash is one of most modern WordPress theme which is suitable for every website. It is known to be powerful as well as a flexible theme by WordPress. 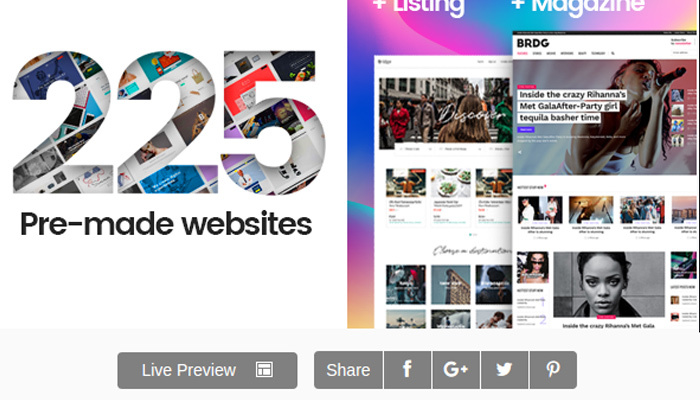 Stash offers 40 layouts as well as full Visual Composer customization. There is no need to use any type of code in this theme. 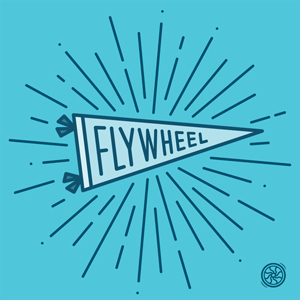 7 pre-built portfolio styles to choose. A complete package of inner pages. 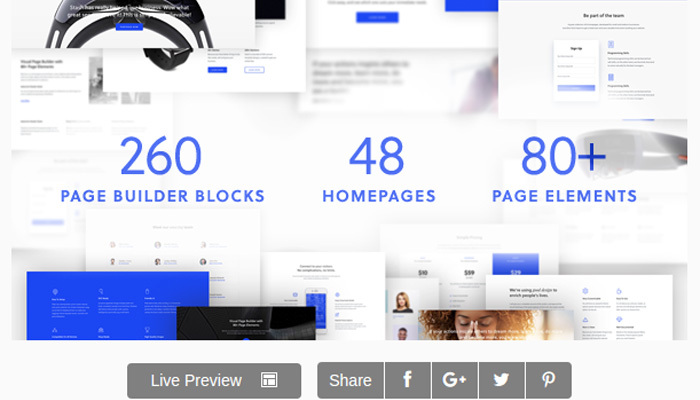 This WordPress theme is packed with 260 well-designed blocks and Google Fonts. 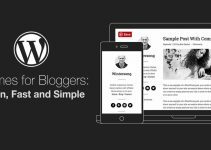 Essential Grid and Slider Revolution are premium quality WordPress plugins which come integrated with Stash. Hence, it is one of the most preferred themes for programmers as it offers impeccable flexibility. Jevelin is a paid WordPress theme which is designed by Shufflehound. This amazing theme is original concept of multi-tasking and easy to craft. 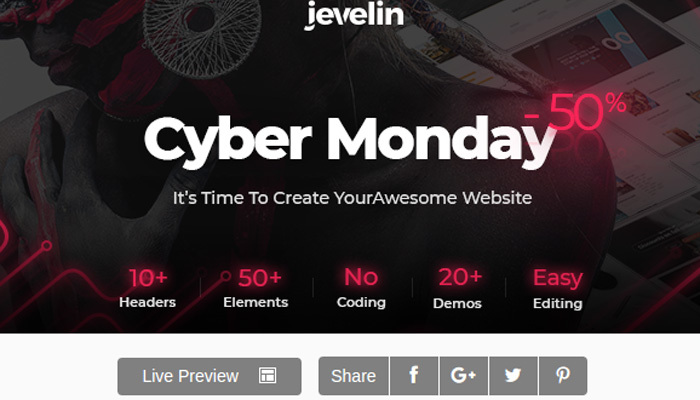 Jevelin can be used on any website as it has simple looking pre-built layouts and designs. No manual codes are required while making designs. With Unyson framework, Jevelin uses Drag and Drop page builder. From widgets and icon to colors, you can easily modify almost everything to design a layout. The theme options control panel enough to handle. 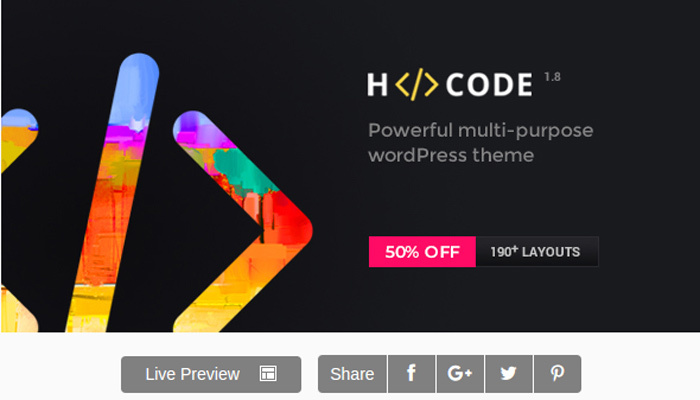 More than 40 shortcodes are available to get the best creation of this theme. Jevelin is a theme which is adaptable for every device as well as the browser. Slider Revolution is its key feature which increases Jevelin’s worth. The installation process is simple with just one-click and it also offers incredible customer support. Salient is a theme which can actually help you in improving your site and can also bring an extra amount of customers to your website. It’s a very responsive theme which has the capability to display content on any device. It doesn’t matter what resolution does your browser supports, Salient automatically adjust the content. This theme doesn’t even require any special knowledge to personalize pages, a technical person can easily handle it. Salient offers three linecons, font icons, and steady sets. Through WooCommerce plugin, you can create an incredible online store and can earn an amazing profit. 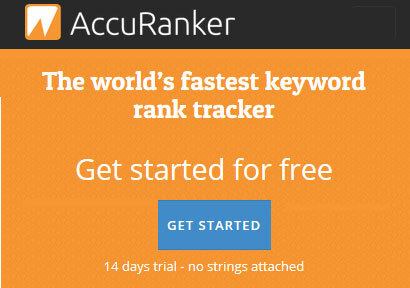 It also offers Yoast SEO tool which gives you full authority to make changes in your content anytime. The shopping cart of AJAX is included in Salient. 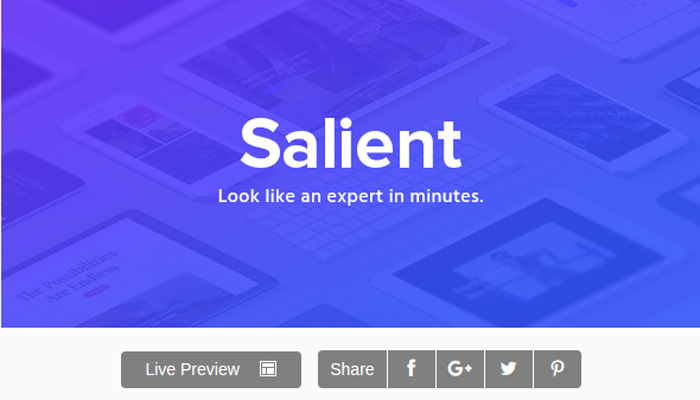 Salient is a paid WordPress theme which offers lifetime free updates. Top-quality support service is provided and the representatives friendly in nature and always eager to help. It’s a classic WordPress theme which is packed with many powerful features. Ronneby has the layouts which easily influences the customers. Considering this theme for your WordPress website can increase the traffic to your website. More than 40 beautiful layouts are available. Pre-made contents are provided to save your quality time. 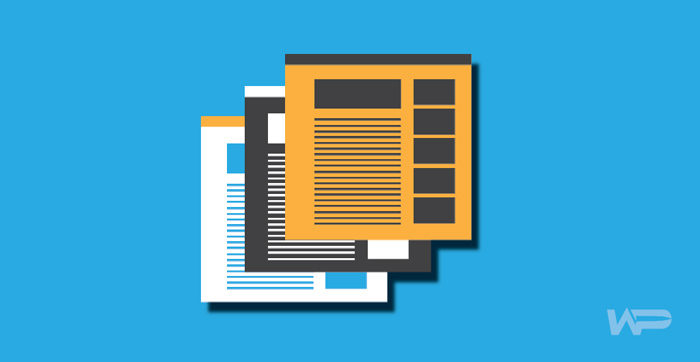 Many stylish blogs and portfolio options are provided to showcase your well-written content. 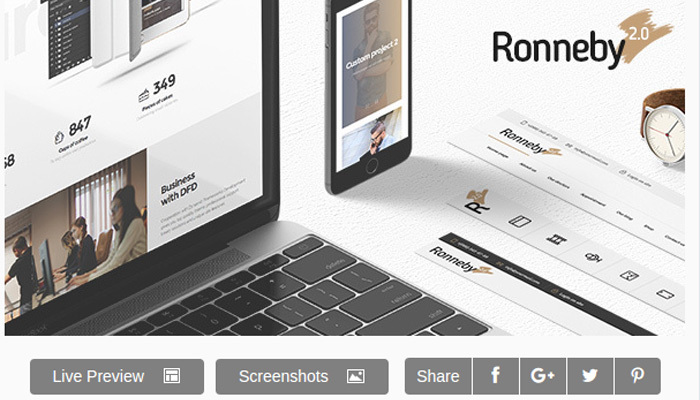 Ronneby comes with many premium WordPress plugins for free. You are allowed to customize every single element of your website. Ronneby is free for 6 months and for a year, charges apply. A well-written documentation is added for those who want to know more about Ronneby. If you are a programmer who needs to have an innovative, flexible and reliable WordPress theme for the website, then Unicon is one of the finest themes. Unicon actually express the profession of the site owners with the help of different practical features which comes integrated with it. With a multi-page format, a classic one-page layout is available. You can easily design any type of pages, whether it’s a corporate site or any other, it covers all the requirements. Unicon is paid WordPress theme which comes which outshines your brand with quality. This theme has the capability to bring more audience to your website. This incredible theme consists more than 31 multi-page homepages as well as 28 single page homepage designs. You will be provided many shortcodes which will all you to simplify the access to admin panel. H-Code also offers varieties of customized widgets, headers and footers and also social media sharing tool. It’s a theme for all type of users that is technical as well as non-technical. H-Code is loaded with beneficial tools which will help you altogether. This WordPress theme stands in its name that is Bridge. It’s completely a different theme from another WordPress theme. This theme creates a link between your professional and personal website. With every technological advantage, Bridge offers a user-friendly atmosphere. While covering all your professional as well as a business requirement, this amazing WordPress theme can be your appreciable ally. It’s a paid theme which offers amazing tools that will definitely help you in making your website look elegant. Strully is a theme which allows you to create dozens of WordPress websites with an amazing flexibility. 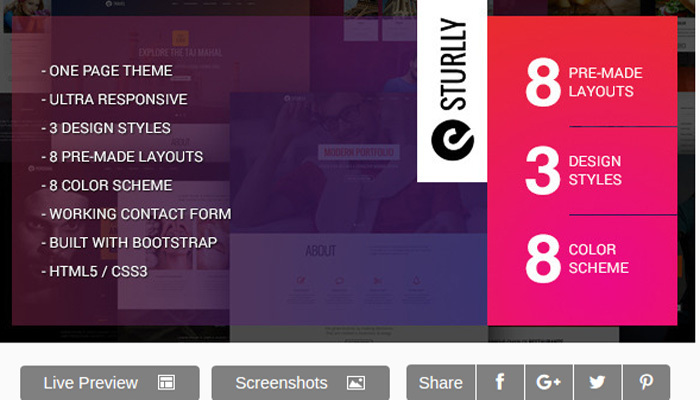 Strully is based on Bootstrap, HTML5, CSS3 and jQuery, so the flexibility which it offers is amazing. It a multi-purpose professionally based theme which varies premade layouts that will fit your business website. Strully is a paid theme but an affordable one and at less price, your can even extend its warranty. 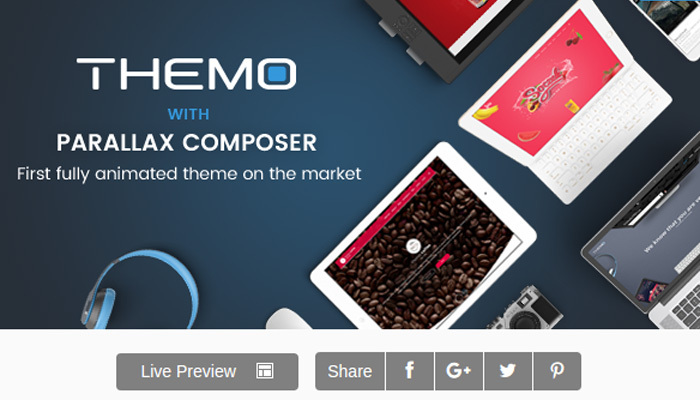 Themo is a creative parallax multi-purpose WordPress theme. With amazing premium WordPress plugin, this theme is a responsive and resourceful WordPress creative multi-purpose theme. It’s a perfect for the webmaster. No codes are required under this theme. With the help of Visual Composer, Themo offers impressive layouts that fit your needs. Themo is for free for 6 months and at low cost, you can even extend the warranty. These are the WordPress theme which is most preferred for the programmers. Although, most of them are paid the feature they provide is just amazing. Try them and know the difference between your own. The author is Harshal Shah, CEO and founder of Elsner Technologies: WordPress development company & global IT consulting firm. He is a tech evangelist with a reputation to provide optimum solutions for business automation and solving real life problems with the power of IT.